SEKAI is a spectacular world of acrobatics, gymnastics and dance. 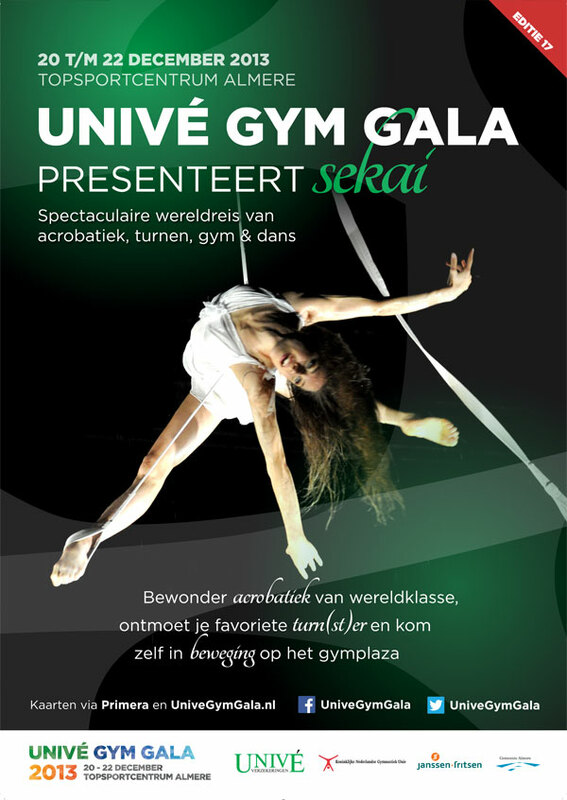 Univé Gym Gala 2013 took place for the 17th year from 20 to 22 December in the TopSportCentrum of Almere, Amsterdam. Over 15.000 spectators in 3 days immersed themselves in a fantastic experience with live band, best athletes and artists from around the world. After last year's successful edition where Erika has been performing her famous act TORNADO, she has been invited again this year to present a special version of her act DIVINA on the classical piece "Ave Maria”. Erika gave shivers to a warm audience, while flying gracefully under the rain followed by the voice of a live counter tenor accompanying her during the performance..